Wisdom teeth are the last to emerge from the gums, located at the back of the mouth and generally appearing around the ages of 17 to 25. Provided enough room, these teeth can erupt without problems. But often, these come up at an angle or are impacted by other teeth. The Shine Dentists, Franklin dental team can assess whether your teeth have sufficient room or if removal may be necessary. An X-ray will demonstrate the position of the tooth root, determining the next step that is needed for you. If they’re removed, some swelling may result, though we’ll be happy to advise you on reducing discomfort. A follow-up appointment will allow your dentist to check on your healing process and take out any stitches. What happens if I don’t seek help? If left untreated, an infection can result in the surrounding tissue. 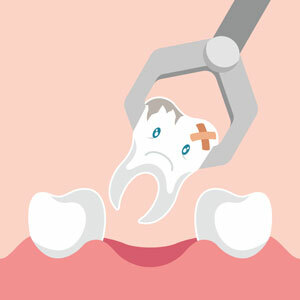 Wisdom teeth can easily decay since cleaning them is difficult, which can cause further problems. Schedule your appointment with our gentle, experienced team today! We offer early and late hours that work around your busy life.